Happy New Year everyone! The holidays have been so crazy for me! I am sure for you guys as well. I haven't been adventuring as much as usual, instead I've decided to slow down and return back to the place I grew up to be closer to family during the holidays. As I have shared on my Instagram, my newborn nephew Rowen has had some heart issues and I've really enjoyed the little moments with family more than ever. 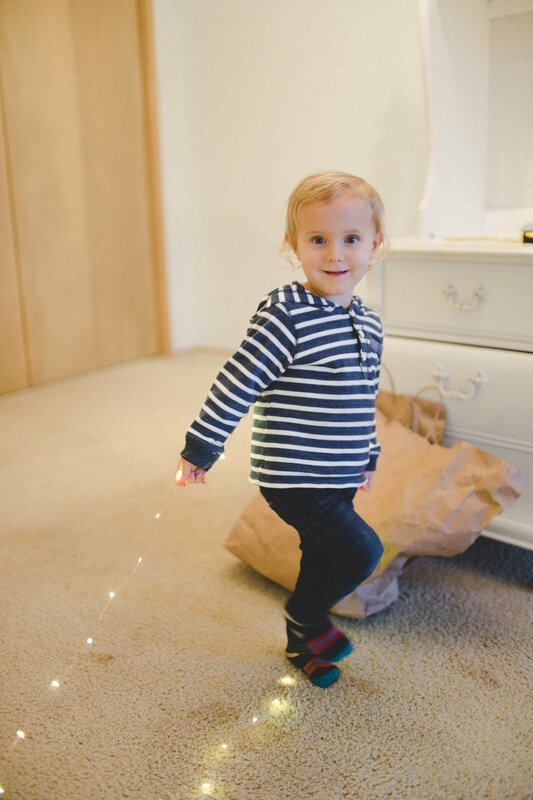 It’s so fun to play with my nephews and they helped me a little bit prepping the room to paint. Since it is so cold outside, I really wanted to remodel a space for indoor shoots and create a place to retreat to when I am back home at my mom's house visiting. I decided to repaint my sister's old room, because the color was outdated and was not neutral like I wanted it to be. 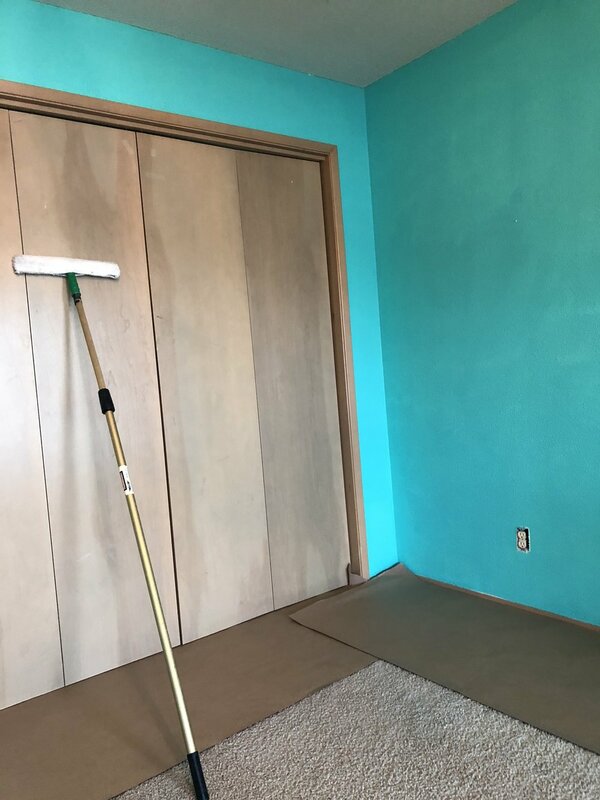 I partnered with HGTV HOMETM by Sherwin-Williams to use one of their colors from the Quiet Comfort Color Collection and I am so happy with the results. 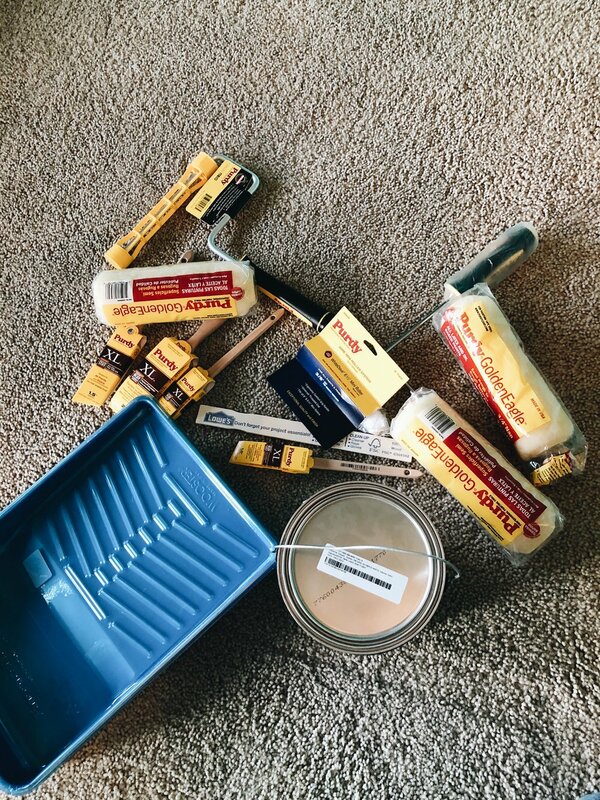 The best thing about HGTV HOME™ by Sherwin-Williams (available at Lowe’s!) is that they offer different designer-inspired Color Collections with 20 colors that go together in any combination. By sticking to one Color Collection, it’s super easy to choose colors and create a cohesive look in your home. I’ll definitely be turning to the Quiet Comfort Color Collection for my next project! The room was previously used for storage, but now after organizing it a bit, it is a new studio space for me. 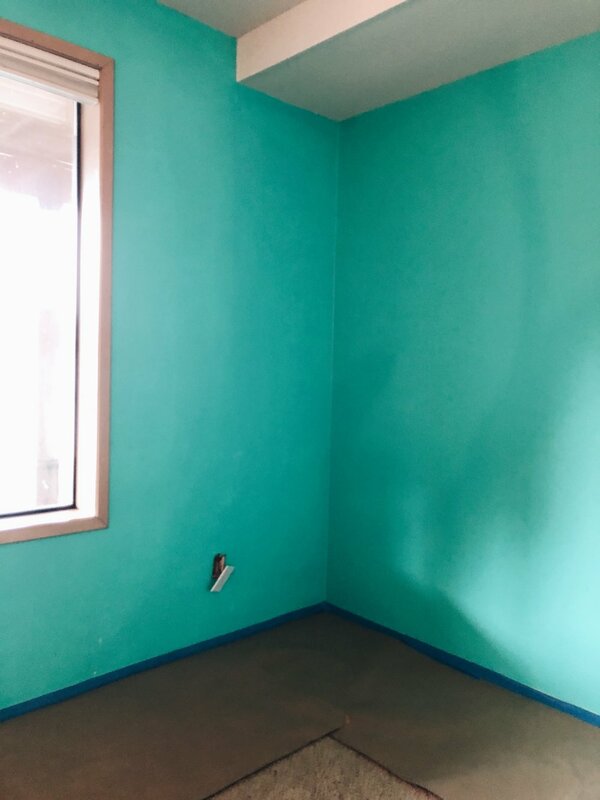 Here are the before pictures of the color of the room. After moving out all the stuff that was in the room, I taped and my little nephew Carter helped me dust the walls. I put down sheets of paper to protect the floor. This was the hardest part for me, but next came the new paint! I chose to use Olympus White (HGSW1447) from the Quiet Comfort Color Collection. It was so nice to see how different the color of it was against the teal blue color. A wave of excitement hit me! I started to outline the walls first and then fill them in with paint with my roller brush. These are all the supplies I used. For this project, I used two gallons of HGTV HOME™ by Sherwin-Williams INFINITY Interior Paint & Primer. It is a one coat coverage paint, so it really eased the process while painting using the Purdy brushes. Here is the finished result! My nephews joined me as we celebrated the room and set up a little spot to listen to old Christmas records of the Grinch (they won't let Christmas go yet) and dance around. I showed my nephews how to take a few photos on my film camera, and they decided to bring down some of their own decorations to decorate the space with me. I love the new color so much; it makes a world of difference with how I feel when I enter the room. I am so excited to continue to decorate this room as time goes on, and so excited the boys love it too!